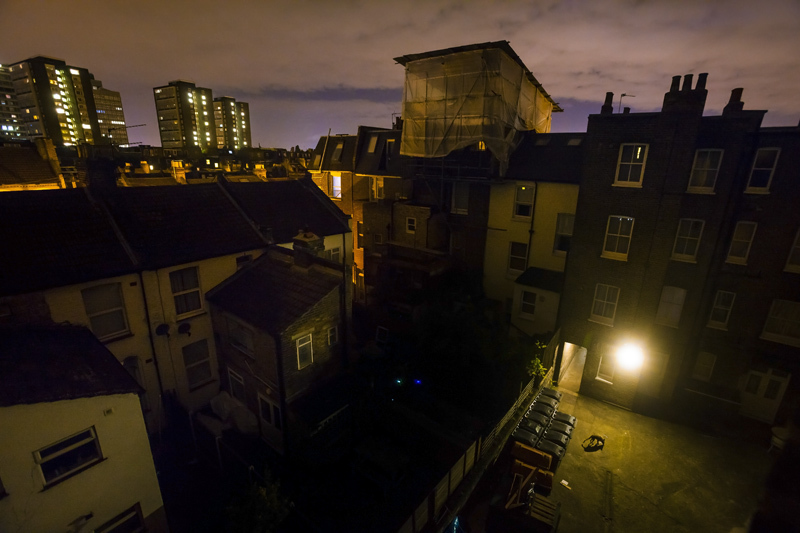 Neil's photograph Little Fox, Big City features in this year's Wildlife Photographer of the Year, the results of which will be announced on Tuesday 13 October. Keep an eye out for more news and, if you're in London, join Neil at the Natural History Museum on Sunday 18 October for a free Nature Live talk in the Attenborough Studio, where he will be talking about his photograph and work. On Tuesday 6 October, Neil's limited edition print of a cheetah sold to raise £1,000 for the Cheetah Conservation Fund (CCF) at a special exhibition at the Patrick Mavros Gallery in London. Curated by Sophie Stafford and organised by CCF, the exhibition 'Cheetahs Alive' included the world's finest cheetah photographs by leading photographers from around the world, such as Angie Scott, Britta Jaschinski, Andy Rouse, David Lloyd and Charlie Hamilton-James, amongst others. Only ten editions of Neil's photograph 'The Hunter' will ever be available to buy as signed limited edition prints. You can buy one of the remaining prints right here and all proceeds will be donated by Neil to CCF. Neil's creative photograph 'Living Rock Art' won him the coveted overall title of European Wildlife Photographer of the Year. Neil received the award in Lunen, Germany in October 2014. 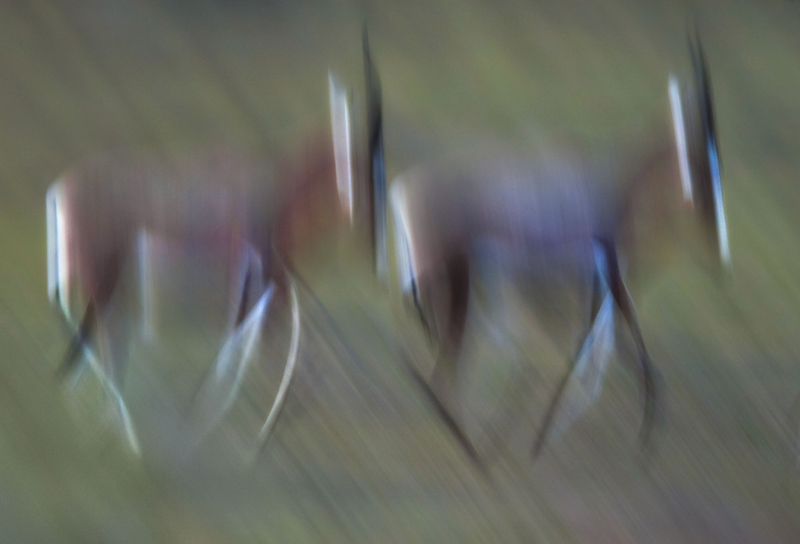 The photograph is an artistic take on two blesbok antelope stampeding across the plains of South Africa’s Kariega Game Reserve. Neil captured the image by panning steadily using a tripod and a slow shutter speed. Neil's success in the competition was not just restricted to Africa’s plains. 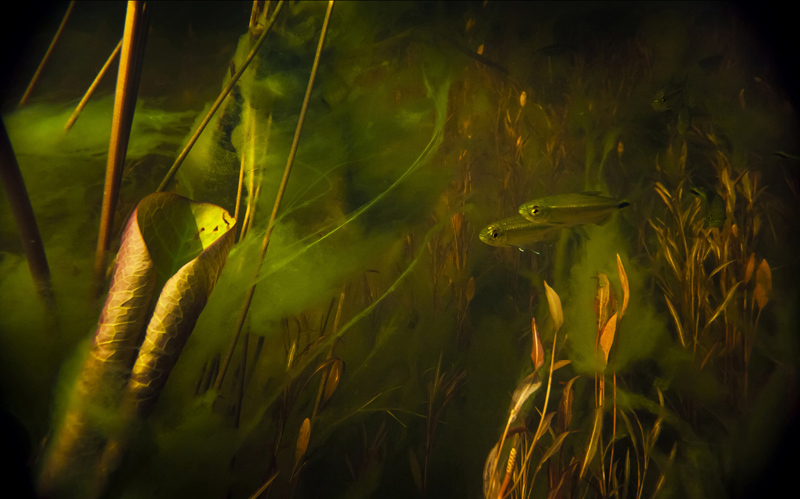 His photograph of a shoal of tiny Okavango robber fish swimming up the Selinda Spillway in northern Botswana was selected as Highly Commended in the Underwater category too.